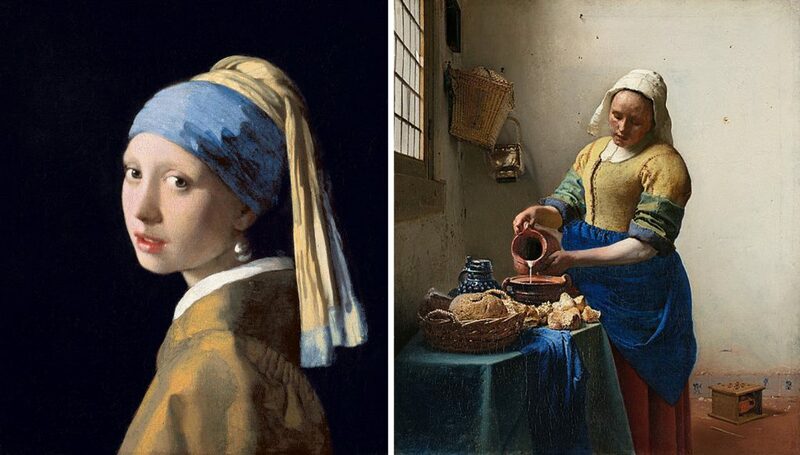 Lighting was just as important an ingredient in Johannes Vermeer’s paintings as his expensive lapis lazuli (blue) pigments. By leveraging the same indirect lighting Vermeer used, you can turn your space into a masterpiece too. What’s so special about north light? If you’re in the northern hemisphere, north light is beautiful, soft, indirect light that stays fairly constant all day long. It’s glare-free and doesn’t cast harsh shadows. The sun traverses the sky from east to west, and in the northern hemisphere, it shines up from the south. That means, the light from the east, west and south changes throughout the day and the directionality of it makes for strong glare effects and the morning and afternoon. Notice how the light in Vermeer’s paintings is soft and beautiful? It obviously comes from the window, but it doesn’t cast any strong shadows. It’s gentle and comfortable light for our eyes. Make your space like a work of art with indirect lighting. Indirect light is very comfortable for human eyes and makes for pleasing aesthetics, especially in large commercial and office environments. Since indirect lighting avoids glare, it can help prevent work-related health issues, such as fatigue, headaches and eye strain—all common ailments in the workplace that can be caused by poor lighting. 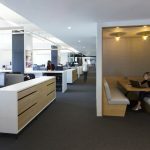 Healthier employees are more productive, making indirect lighting a valuable tool for companies. Indirect light was the key for this project, which leveraged custom-modified Linea Mini fixtures to highlight the space’s unusual ceiling. See the complete case study for this project here. Besides being a gentler light source for human eyes, indirect lighting is also useful for delivering a pleasant ambience in a space and highlighting unique architectural features. 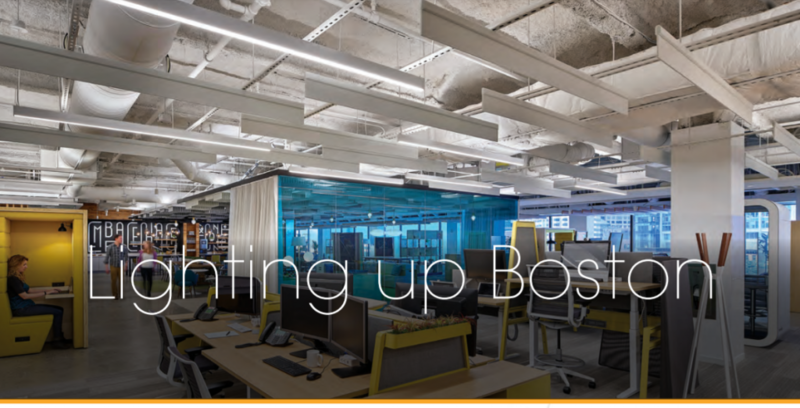 For example, lighting designers in Boston used indirect light to accentuate the special waffle-slab ceiling in this space. Additionally, since the space was underground without any natural light, the indirect light helped create a warm and inviting entertainment space. (See the whole case study for this project here). Indirect lighting is evenly distributed across a space, so everyone in the room gets the same amount. This makes indirect the ideal kind of light for general illumination. Where additional light is required or dramatic light is desired, task lighting and point sources can come into play and complement the indirect light sources. 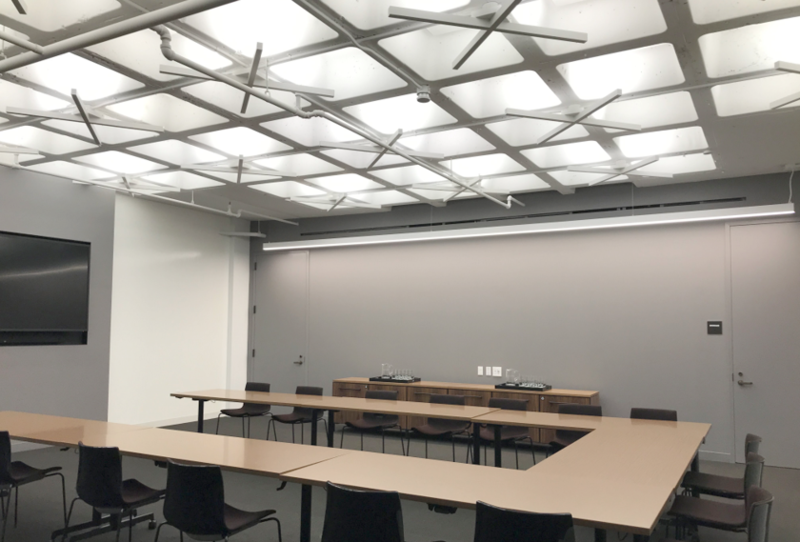 To build general ambient light, Yancey relied on Amerlux’s award-winning Linea Mini 1.5” linear pendent LED solution. “It has the best light quality across the ceiling,” he says. Ever walk into an office where the ceilings and the top of the walls are much darker than the rest of the space? That’s the “cave effect.” It’s caused by lighting (typically recessed or flat panel) that don’t distribute light onto the ceiling. The cave effect is especially endemic to older office spaces with parabolic fluorescent fixtures. When used with intentionality, the dark ceiling effect can make for an interesting ambience, but usually it creates a dark and gloomy environment. Indirect lighting avoids this nuisance and delivers a brighter, more pleasant space to be in. 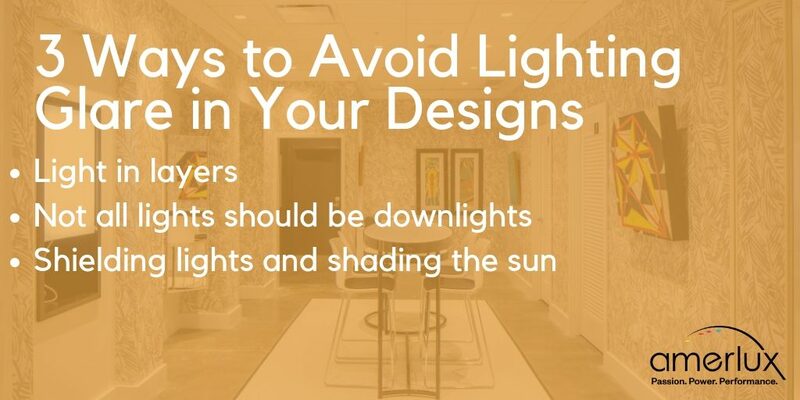 Direct light has its uses, especially with task lighting, but using only direct lighting in a space almost ensures there will be glare issues. What downlights do best is light up the floor, and that’s generally the least important area to light. And while they are busy illuminating the floor, they also deliver glare and harsh shadows. Indirect lighting on the other hand, raises the light level of the whole space, without focusing it on any one place. The whole place feels brighter and you avoid the spotlight effect of direct lighting. Indirect light is an efficient way to illuminate a space and it can have a significant impact on a company’s energy costs. On a commercial office project, lighting designers using Amerlux’s Linea Mini indirect linear pendant solution, secured a $7,200 incentive from the local utility company. “We got a utility incentive for our client with the lighting because we were able to meet the light requirements with fewer watts per square foot,” says Yancey, the lead lighting designer on the project. “We ended up with only 0.59 watts per square foot. The Amerlux fixtures deliver efficient, even illumination without a lot of watts.” (Read the full case study here). Learn how Amerlux’s elegant lighting solutions improve spaces and add just enough brightness.